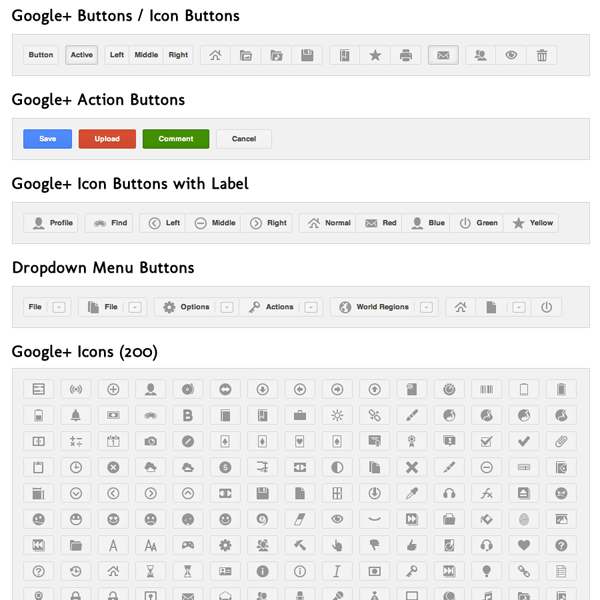 IconShock released a set of free icons, modeled according to the Google+ style. The package includes both pixel perfect (PNG) and vector (PSD) sources, color and gray versions and different sizes. The icons are free to use for personal project, while the commercial licence has a symbolic price. Bruce Galpin from Social-IT-e Media offers this easily customizable framework of Google+ style buttons, icon buttons and drop-down menus. The code is free to use in commercial projects and can be forked from GitHub.